"The annals of this voracious beach! Who could write them, unless it were a shipwrecked sailor? How many who have seen it only in the midst of danger and distress, the last strip of earth which their mortal eyes beheld." As much as I look forward to future sailing adventures and use planning them as a means of mentally surviving the long Great Lakes winter, I also use the offseason to slow down and savor the rich history of my home waters. Part of that rich history is now protected by the West Michigan Underwater Preserve. We often look astern to see where we've sailed, look forward to see what's ahead of the bow, and look aloft to check the sky, sails, or wind indicator. But how often do we look below the water's surface? Do you ever think about the history that you're literally sailing right over the top of? I do, and I have to admit, sometimes it's spooky. 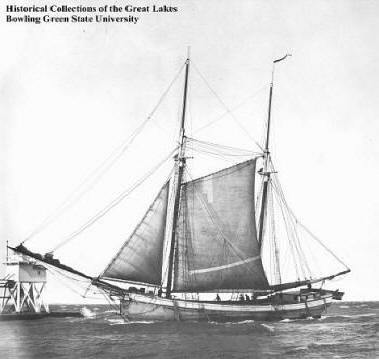 The West Michigan Underwater Preserve (WMUP) began as a community movement to protect the maritime history of the West Michigan area and Lake Michigan. The WMUP officially became Michigan's 13th underwater preserve last week when the Department of Enviornmental Quality filed paperwork, thanks to a motivated group of citizens. The preserve covers about 345 square miles featuring at least 13 identified shipwrecks and three other underwater structures. As part of the underwater preserves program, the wreck sites within the preserve will now be marked with buoys and find their way onto navigation charts. The preserve includes underwater areas from a point between Grand Haven and Holland up to the northern boundary at Ludington State park and all waters and bottomlands four miles offshore. If you have an interest in shipwrecks and Great Lakes history, you'll find plenty to occupy your mind in the new preserve. The following are just a couple of shipwrecks of particular interest to me. Henry Cort: The Henry Cort was a 320' whaleback steamer that became stranded along the Muskegon breakwall (our homeport) on November 30, 1934. She broke up and was never recovered. The crew all survived but a member of the USCG rescue crew was lost in the storm that sent her to the bottom. Today she still sits near the outside arm of the north breakwall in about 20'-30' of water. 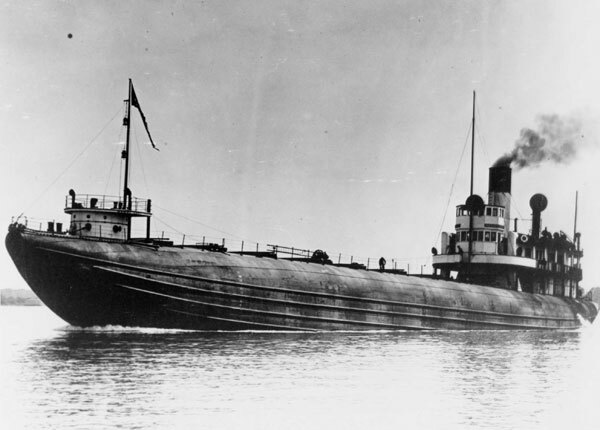 As an interesting sidenote, a "whaleback" was a type of cargo steamship with hull sides that curved up and inward, making the deck look like a giant whale's back. Helen: The Helen was a 90' two-masted schooner built in 1881 in Milwaukee, Wisconsin. It was in November of 1886 that the Helen set sail from Chicago after delivering a load of lumber. She was on her way back to the sawmills on White Lake for more cargo when she was struck by an early winter storm and grounded out nearly 100 feet from the safety of shore. That storm sank at least ten other ships and took 39 lives, including that of the Helen's captain and his female partner. Today the wreck of the Helen makes for a potentially nice snorkel in about 10 feet of water, but limited access on the private beach and shifting underwater sands can make getting to her and finding her difficult. If you're craving more Great Lakes shipwreck lore, check the other shipwreck blog posts I've written: The Christmas Tree Ship and Ghosts of the Great Lakes.